As early as 1915 the first tungsten arc lamp, known as the Pointolite, had been created under the direction of Alexander Fleming at the Royal Ediswan Lamp works in Ponders End, North London. 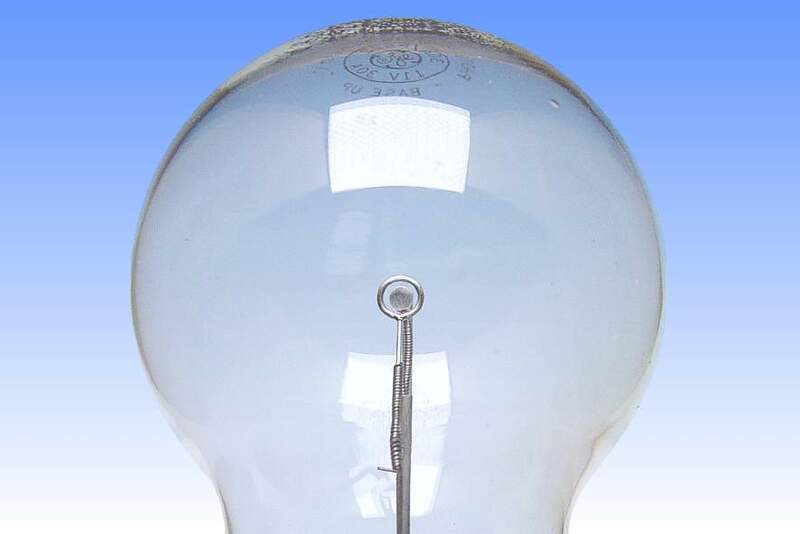 It was developed as an intense point source of light, intended to supersede the unstable carbon arc lamp in scientific projection applications. 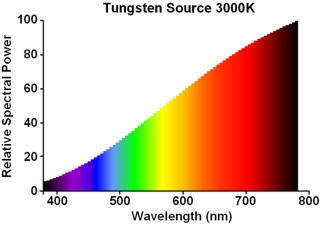 It was itself replaced by more efficient short arc mercury and xenon lamps during the 1960s, after revolutionising precision optical work by delivering an absolutely steady light of phenomenal brilliance from the incandescence of one or two small tungsten beads operating near to their melting temperature. The arc is essentially non-luminous, it serves only to heat the electrodes to incandescence. 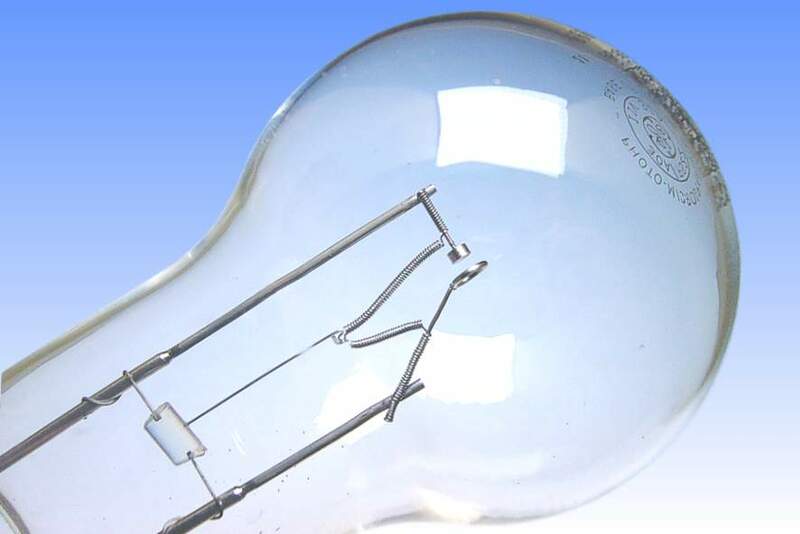 Its sole drawback was the slightly tedious method of igniting the arc in which an auxiliary filament in the bulb first had to be lit to provide some thermionic emission. Philips and Osram also manufactured designs based on the Pointolite. 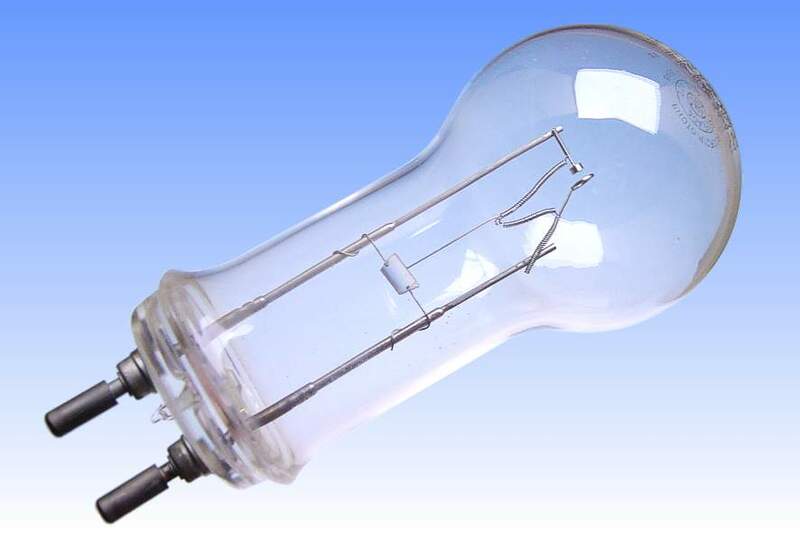 In the late 1940s GE developed this alternative based on its Sunlight Mercury lamp in which a filament operates in parallel with the arc and provides the initial ionisation. A useful feature is its annular cathode through which the incandescent anode can be sighted, allowing the lamp to be precisely aligned in the optical system. Curiously the electrodes in this lamp are movable, the instruction leaflet drawing attention to the fact that by flexing the thin-walled hollow pins embedded in the glass base, the electrodes can be brought into their correct alignment should they become distorted during life. However the lamp enjoyed only limited success in photomicrograpic fields and Ediswan's established Pointolite held court, mainly owing to its greater intensity. Factory: NELA Park, Ohio U.S.A.